There were huge crowds in attendance to enjoy the family fun day on offer and to congratulate the award winners and nominees for the Banana Shire Australia Day Awards. About 500 party goers converged on Thangool Race Track to enjoy everything that makes Australia and its people worth celebrating. Banana Shire Mayor Nev Ferrier said it was terrific to see such a large crowd gather for Australia Day. "I want to congratulate not just the winners but also all of the nominees,” CrFerrier said. 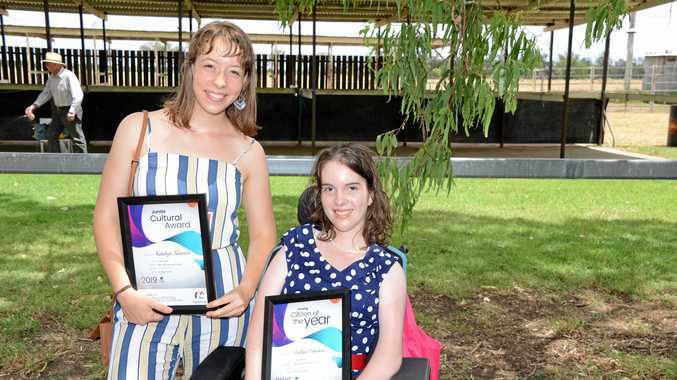 "To see so many people turn up to support their family and friends who had been nominated for awards and others that just turned up to join in the celebrations was wonderful. "Being nominated means that you have and continue to make valuable contributions to our communities. Mr Ferrier was also grateful for the effort people put in to help bring the day together, and the latest Australian citizens. "I want to thank the Australia Day Organising Committee for all their hard work in bringing this wonderful event to fruition,” he said. 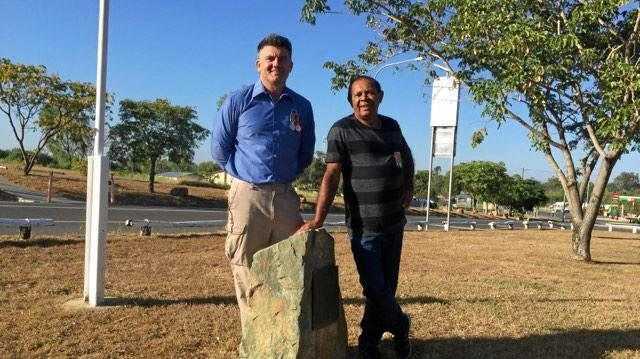 Cr Ferrier said the Thangool community put on a tremendous celebration and he was already looking forward to next year's event being held in Theodore. Citizen of the Year Award - Debra Elliot. Young Citizen of the Year Award - Caitlyn Donohoe. Volunteer Award - Allan Tappin. Cultural Award - Sarah Larsen. Junior Cultural Award - Katelyn Ninness. Senior Sportsperson - Ryan Yanko. Junior Sportsperson - Samuel Atwell. Community Club or Team - Rotary Club of Biloela. Community Event of the Year Award - Nu-Tank presents Broncos v Capras Rugby League Day.